Moving to Wallington, SM6 | High Quality Services - Call Us Today! We all need a little bit of help from time to time, especially when it comes to moving house. That is why we offer an excellent range of professional removal services that can help you to keep your move on track. So, if you need to hire a van or find someone to help with the lifting and loading, all you need to do is give us a call on 020 8746 4402. We have an extensive fleet of vehicles and a specialist team of movers who are ready and waiting to help. Moving Service is widely recognised as the best firm in Wallington and can help you with any removals to SM6 district. If you’re moving to Wallington then you’ll be pleased to know that it is an attractive place in the London Borough of Sutton. 10.3 miles southwest of the central Charing Cross area, it is a suburban area that has rail links into the centre. A bustling town centre and leafy streets make it a popular choice with families and commuters alike. Green spaces include Mellows Park, Beddington Park and the Grange Gardens while a popular farmers market can also be found in the centre. A number of excellent schools are dotted around the area, including a number of well-respected grammar schools for private education. If you want the best for your upcoming move, don’t hire a second rate removal company. We offer elite services for anyone moving to Wallington, SM6 area and can help you to have a stress-free experience. If you want a high quality service that is guaranteed to impress, get in touch with us by calling 020 8746 4402. We have the best house removals team in the local area, with modern moving vans and specialist equipment. Our services are also flexible and easy to hire, with a seven day service and a friendly sales office. All you have to do is speak to one of our expert advisors and they’ll give you a free and no obligations quote in a matter of seconds. 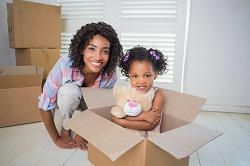 How Do We Select Our Moving Team? All of our movers are selected for their professional approach and have expert skills and friendly attitude. Experienced at moving, they can offer you invaluable advice about how to approach your big day before getting stuck in and making things happen. With company-specific training, we can even guarantee you an impeccable service level which is consistent and reliable at all times. So, if you’re worried about leaving your personal possessions in the hands of a removal company – don’t be! We have an exceptional moving record and will always take the best care of your furniture and removal boxes. Our team can even offer specialist help for antique or fragile items, taking care of their removal from start to finish. Yes! We at Moving Service have an incredible range of offers available in SM6 district which are designed to save you time and money. Our free gift with purchase offer can even give you something extra. So, if you’re getting ready to move why don’t you treat yourself to our amazing removal services. We know that you won’t be disappointed by our spectacular deals and that our professional team will ensure that you have an excellent moving experience. To get your house moving package booked in now dial 020 8746 4402. Our customer services team will look forward to taking your call!